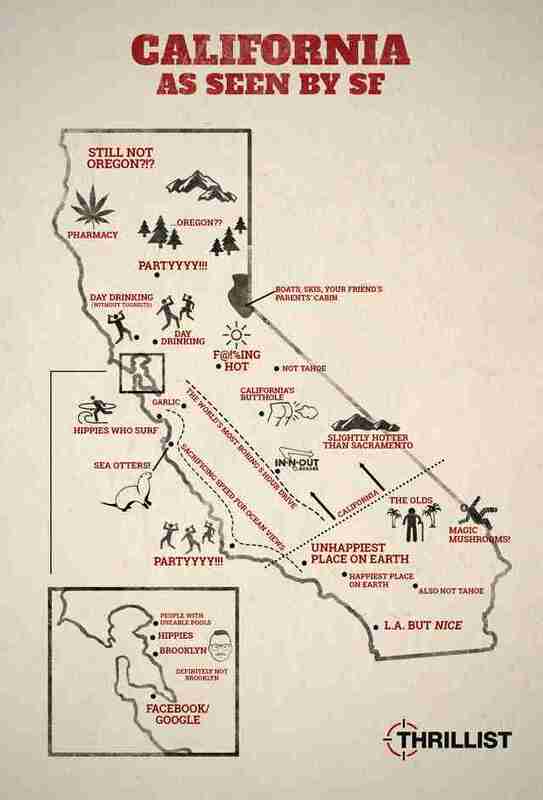 Living in SF can really skew your perception of things, especially when it comes to the great state of California. Here's a look at how the Goldenest of the 50 states looks from the 7x7 (sorry in advance, Fresno... and sorry we're not sorry, LA). 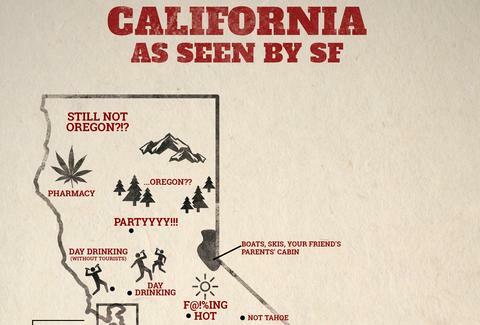 Joe Starkey is Thrillist's San Francisco Editor and grew up in NorCal, so he might be a little biased. He definitely doesn't have a Twitter so don't yell at him there.